The Brass Band Concert by THRAPSTON TOWN BAND, held on Sunday April 7th at St Mary's Church in Burton Latimer, raised a fantastic £500 for the TIN HAT FUND. Huge thanks to Bob Miller and Martin Turner for organising the event; to Jez Safford for use of the Church; and to all the others who helped out organising refreshments, the raffle, and selling tickets. The entertainment was provided by the Thrapston Town Band, conducted by Kevin Spencer. Our very own Trust board member, James Mayell, also sat in with the band for the concert, on tenor horn. The concert also featured the vocal talents of local Soprano, Tracey Barker. Many thanks to those associated with Kettering Town Football Club who attended, including Luke Graham and family, Roger Ashby, and Graham and Doreen Coles. 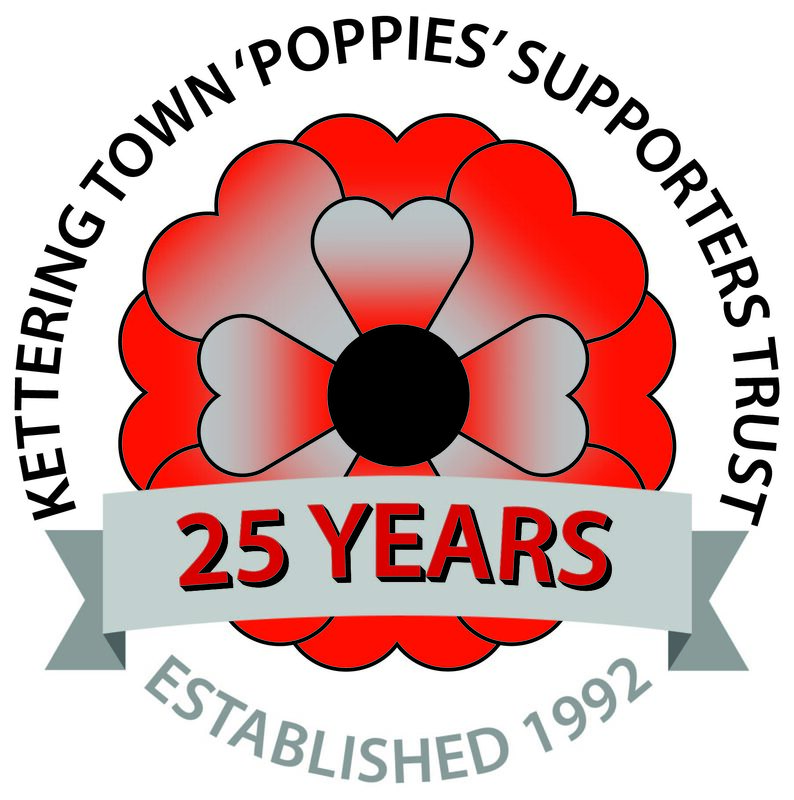 Finally a big Thank You to all the Poppies Fans and local people who attended the concert, and helped push the Tin Hat Fund closer to the £25,000 target. The money raised means that our overall total has now passed the £5000 mark - a fantastic effort considering that the fund was launched only 3 and a half months ago.